General Impression/Theme: Beaches. Hiking through Maine's lake country, the trail passes several nice sandy beaches and even more gravel beaches, most with the added benefit of mountain views. Lakes of note included Crawford Pond, Lower Jo-Mary, Pemadumcook, Nahmakanta, Rainbow Lake and the separate Rainbow Dead Waters, and Crescent Pond. In addition there was a five mile walk along the broad West Branch of the Penobscot River. People: Jonathan, the ridge runner in Baxter State Park, wearing a Len Foote Hike Inn visor from the other end of the AT; an 80 year old lady from Ohio, hard of hearing, who was hiking a 40 mile chunk of the hundred mile wilderness, planning to take 14 days to do it. She'd been hiking sections of the AT since she turned 70, and still hopes to finish it all. Thru-hiking couple 'Secrets' and 'Shenanigans', who I shared my Katahdin summit experience with after they had passed me on the way up. I also met 'Secrets' near Daicey Pond the previous day. Supply/Overnight: Millinocket and the Hannaford grocery store there. Worst Memory: A 'double whammy' of flat tires. First the right rear went flat, and the timing was the worst possible - Friday evening of Labor Day weekend, all shops closed for the next three days. I filled the tire with liquid 'Fix-a-Flat' sealant and that slowed the leak enough so that I could drive 20 miles before pumping it again, so I decided to live with it through the weekend -- but then the left rear went flat two days later! 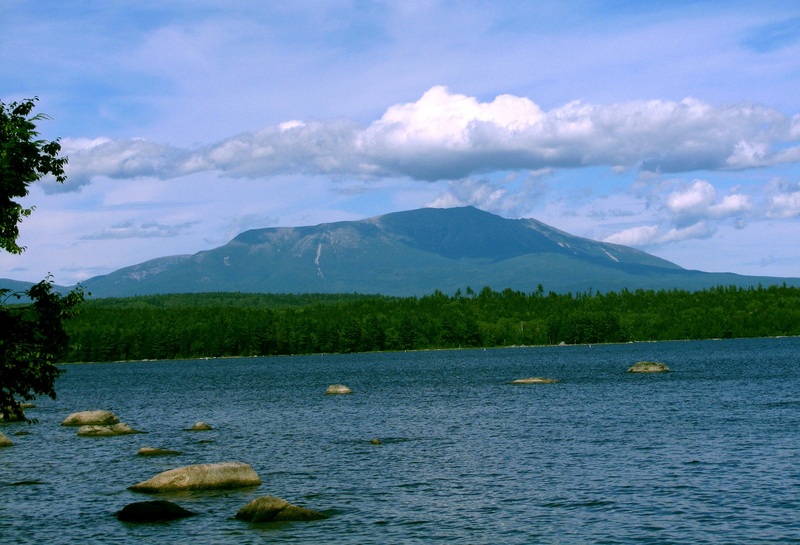 Best Day Hike: I cannot honestly tip my hat to anything other than the climb up Katahdin from the day-use parking area at Katahdin Stream Campground, Baxter State Park. 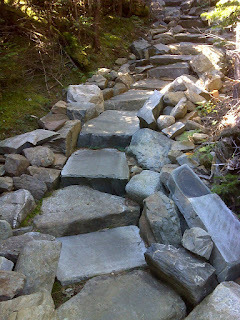 This is a strenuous all day hike with some serious rock scrambling, so you have to be pretty fit to do it. Also the exposed high ground leaves you vulnerable to sudden extreme weather changes, so come prepared. If a Katahdin summit climb is too much, I highly recommend the climb up to White Cap Mountain from Logan Brook Road (part of the KIJM North Maine Woods system of toll roads, branching off from Jo-Mary Road). 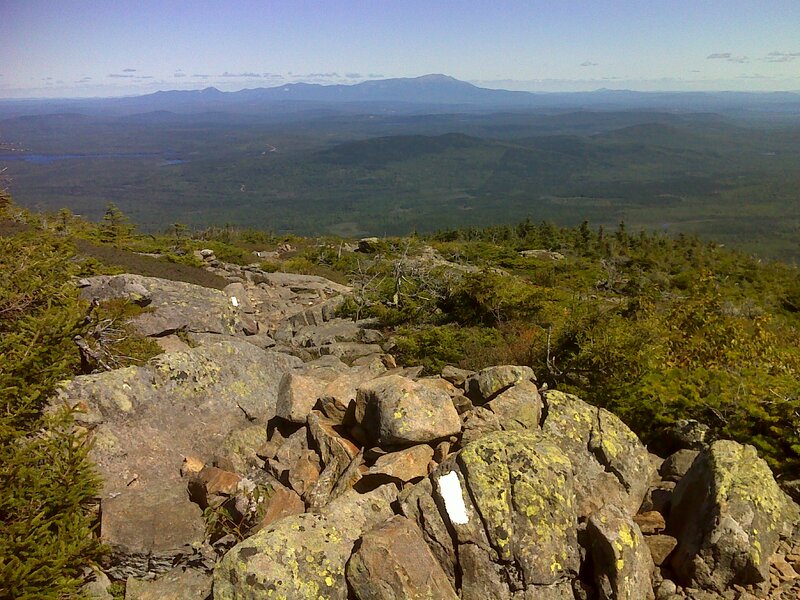 The climb takes you to the exposed summit with gorgeous panoramic views, including a killer view of Katahdin. And the climb itself is a treat, featuring more than 800 well-built granite stone steps.